What is the myth that Thomas Merton wrote about in the early 1960s? He described it as the myth of American as "the earthly paradise." This idea that America from the beginning was new, full of possibilities, a fresh start for humanity. That it was, at some mystical moment, great. Merton describes this belief being based in this desire for a world without history, a world without sin. Some people still want to cling to this idea. But ours is a complicated story told by the conquerors, and to come to terms with our present troubles we will have to grapple with that very idea of long history full of suffering. As Merton also talks about, the totality of white Americans--both the plantation children of the south and the pioneer children of the west--have to be cruelly awakened from this idea that America ever was a paradise. As a pioneer child myself, I know how hard this is. How it complicates the simple narratives. How it leaves me wondering at who was writing my history textbooks, and what their real aim was. The feelings of guilt, paralysis, defensiveness that can arise when faced with the truth of history that is genocidal, racist, and power-hungry. But on the other side of the knee-jerk defensiveness and paralysis is the beauty of the hard truths of America. Of listening to those voices left out of my history books. Of learning how to lament and mourn in and for our communities. To learn from mistakes to gain a clearer sense of the present, and our own role in bringing it about. I don't think it will surprise anyone to learn that I am not a fan of nationalism, and even less a fan of Christian nationalism. In fact, I would say it is heresy, since a Christ-follower is committed to the kingdom of God, which transcends (and often contradicts) the ways of empire. And America most certainly is an empire, with much more in common with Egypt, Babylon, and Rome than Israel. I love the learning from Christian traditions like Anabaptists, which have modeled this way of speaking truth to power--not trying to gain power. Since it's 4th of July I wanted to take a moment to share a list of books that have helped me on my journey of recognizing Christian nationalism for the danger that it is--both to us spiritually, and to the witness of the (white) American church. (one important caveat--these are all white men, which is pretty indicitive of what I read up until the past few years. I still stand by all of these books and find them valuable, but would love to know of some women and/or people of color who have written on the same topic!) Please share your own recs with me in the comments--and hey, if you feel inspired, why not buy one of these books for a loved one that might need a little nudge on this journey? I put these books together because I read them both for the one class I unquestionably loved at my Bible college, all about evangelicalism and America. Thanks to books like these, I figured out I wasn't just a non-denomenationalist, that I had fundamentalist roots like a whole lot of folks. IT's where I learned about the importance of dispensational theology (seriously, it continues to influence our public policy today), anti-intellectualism, and the fear of a culture changing out from under the Christians. I only wish these books had highlighted how much power evangelicals wanted--or maybe I just didn't see it in the pages. I recommend these books for those that want something slightly scholarly. I also read this while in Bible college, and these essays show a stunning diversity within evangelicalism--while still managing to highlight how damaging it can be (including various sets of fundamentalism and prosperity gospel--if you come from an American Christian background, you will be sure to see some form of your faith tradition here). This one is more literary, very well-written but with some damning conclusions about the involvement of evangelicals with Republican politics. 3. Jesus for President; politics for ordinary radicals by Shane Claiborne. Besides the Bible, I don't think a book has ever had such a radical impact on me as Jesus for President. I hadn't read his more popular Irresistible Revolution, so I jumped into this one cold-turkey. My husband and I had just married, and we took turns reading it. It converted us to pacifism, to viewing America as empire, and to committing to live our lives--including who we voted for--with our neighbors in mind as Christ-followers. It's entry level but with enough to make anyone have to stop and asess their lives and their choices. This is a great look into what the kingdom of God is really all about--and what it means to bring it in a country like America. Ekblad is a prison chaplain who works with a lot of gang members in northern Washington and he is sort of like a less goofy Father Greg Boyle--he deep dives into theology and what it might mean for us to not buy into the American Dream/American nationalism. 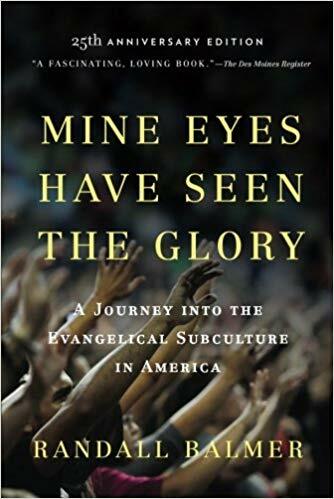 I've talked about this book elsewhere, but it is a necessary look into what it means that much of white Christianity is still influenced by "slave-holder" theology. This book is exactly what Merton would have wanted us to read in order to stop believing the lie of the paradise that America never was. The history in here knocked me over--there is so much I didn't know (and possibly didn't want to know) about Christian involvement in politics, and how it is predicated on white supremacy and a longing for control. Still, Wilson-Hartgrove manages to end on a hopeful note, primarily because he lives and learns from Black Christians who are living out the true good news within our midst. 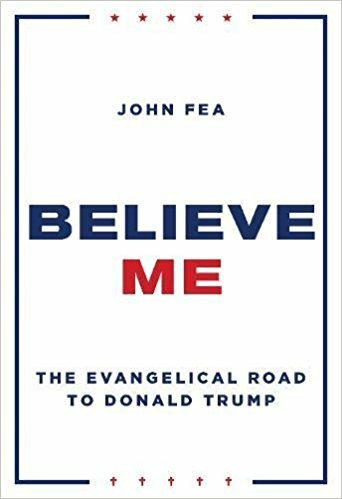 Fea is a historian who gets it exactly right: evangelicals went so hard for Donald Trump (and his policies) as a result of decades of listening to fear. This book is timely, and lays out the road to Trump in a way that is both comforting (we've made so many terrible mistakes in the past, so this is nothing new) and also horrifying (we've made so many terrible mistakes in our quest for power, over and over again). Fea is an evangelical himself and somehow strikes the balance of both clearly critiquing his fellow Christians without making you feel defensive. And there is something incredibly striking about laying out the hypocrisies specifically of famous evangelicals like Franklin Graham, Jerry Falwell Jr., Robert Jeffress, and Paula White. I'm so glad someone wrote this book, but it wasn't exactly fun to read. So there you go. I know there are so many other good books out there, but I specifically wanted to focus on the intermarriage of evangelicalism and nationalism, a topic we all need to be a bit more aware of. With my book, I think I tried in some small way to grapple with how I was losing faith in the myth that my country was good for everyone, as long as they tried hard enough. It has been harder to come to grips with how Christianity in particular has not been good for many people, primarily when it has aligned itself with obtaining and keeping political power--and keeping the myth of the American dream alive. I know tomorrow I will be spending time in prayer and lament, and also hanging out with friends and family. I will be celebrating the tiniest glimpses of the kingdom of God wherever I can find them, and I will be celebrating my inter-dependance with my neighbors. I hope you do the same.